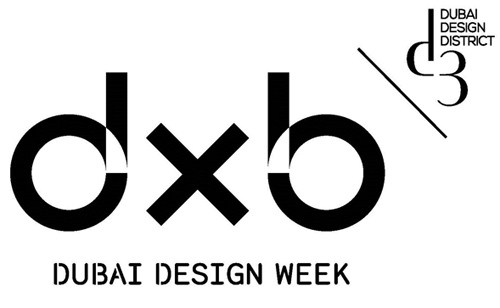 emerging and established creatives from both local and international backgrounds have come together for the inaugural dubai design week, held in partnership with the dubai design district (d3). 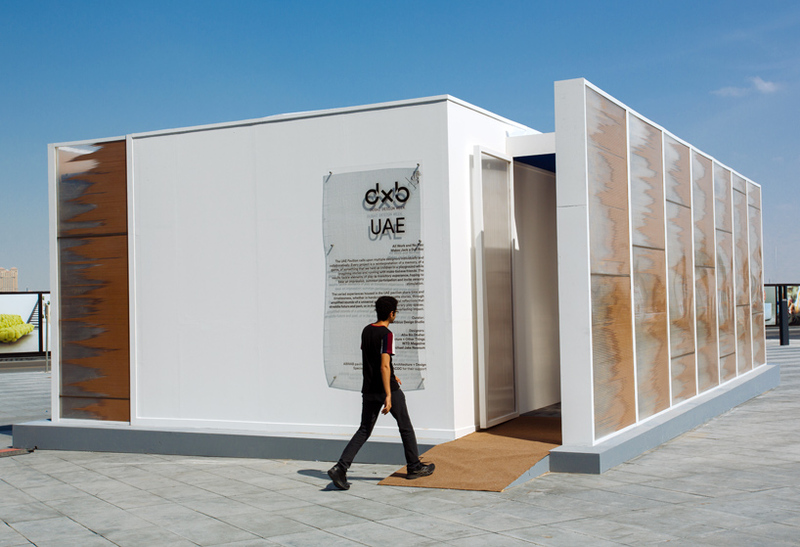 a mix of global brands and emirati talent are presented in tandem, establishing the city as a meeting point for the international design community. 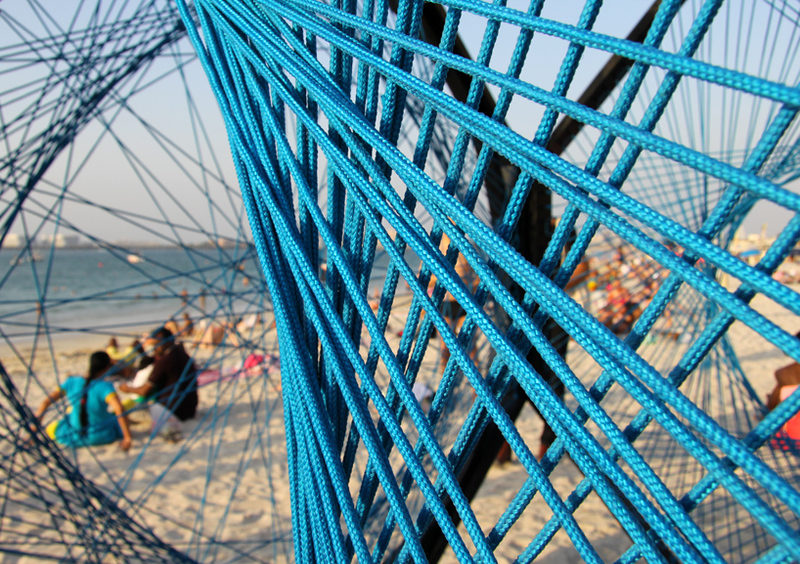 initiatives like the third edition of downtown dubai — a program which emphasizes original, high quality design from 90 brands and more than 24 countries — are housed on the expansive d3 premises; local creatives exhibit innovative and artistic works along jumeirah beach, promoting dubai as a dynamic urban space where design can be found at whim. 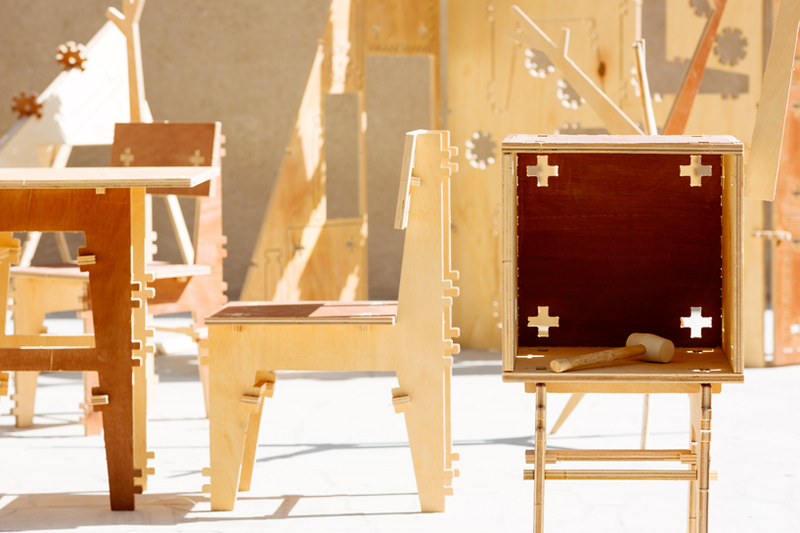 one of the main initiatives of dubai design week is ‘abwab’ (meaning ‘doors’ in arabic) — a series of six pavilions that host a selection of work from jordan, kuwait, pakistan, saudi arabia, tunisia, and the UAE. 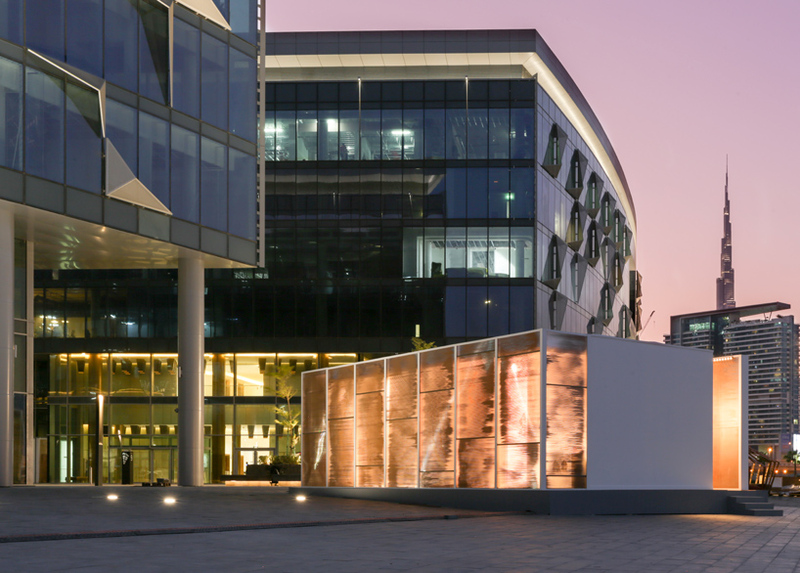 the six pavilions, each identical in size and shape, designed by dubai-based firm LOCI architecture + design have been integrated into the walkways and open areas of d3. the exterior skins are composed of sand, which has been intricately poured between transparent material layers. 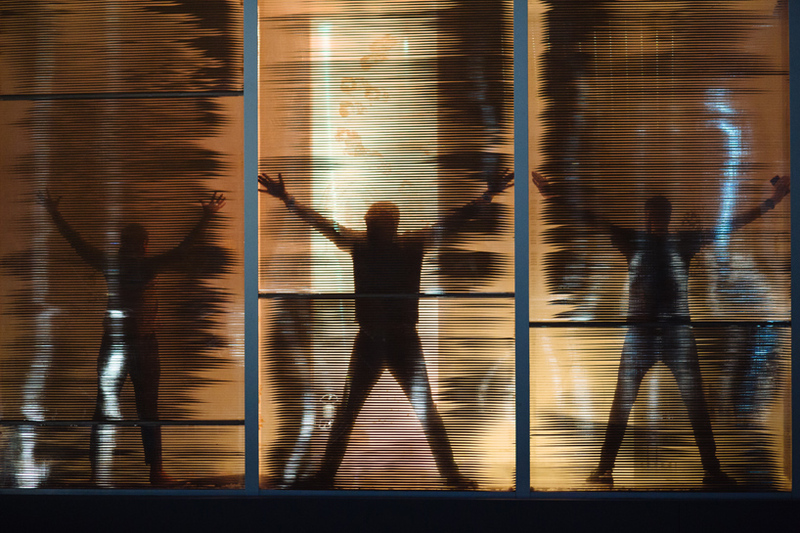 the effect forms a unique façade for each building and creates a veil between the exhibit and visitors prior to entry. 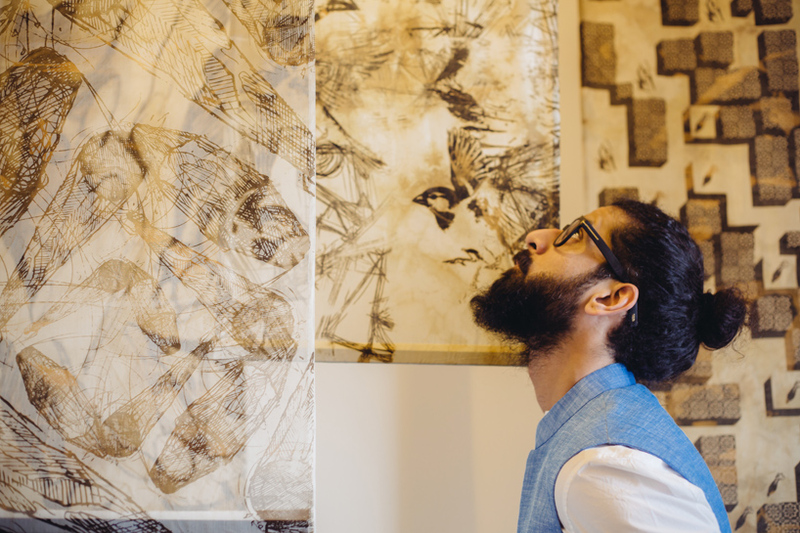 from a play-space for social activity — where visitors can assemble a 2D oval-shaped element into a three dimensional puzzle — to a room filled with silk screens evoking the busy courtyards of pakistani homes — the pavilions spotlight the most exciting designers, studios and curators from the MENASA region. 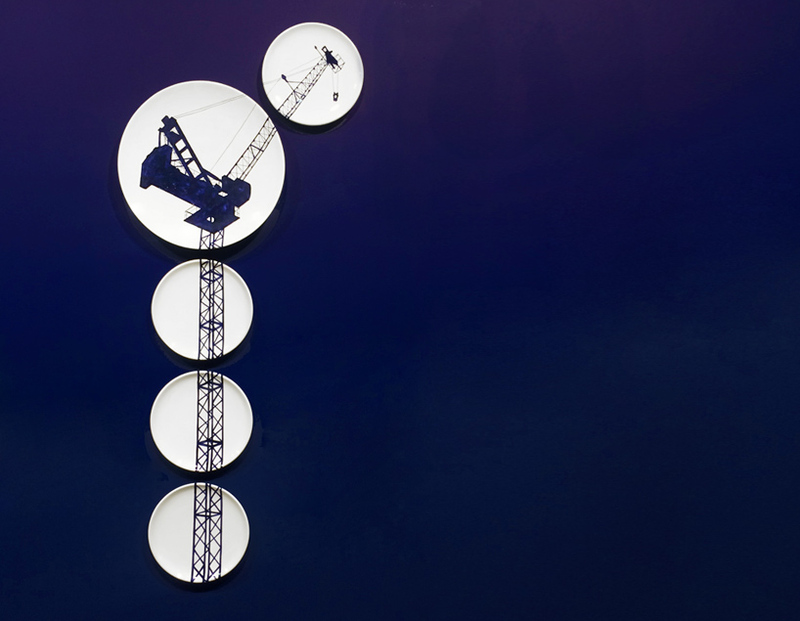 see more about the project on designboom here. 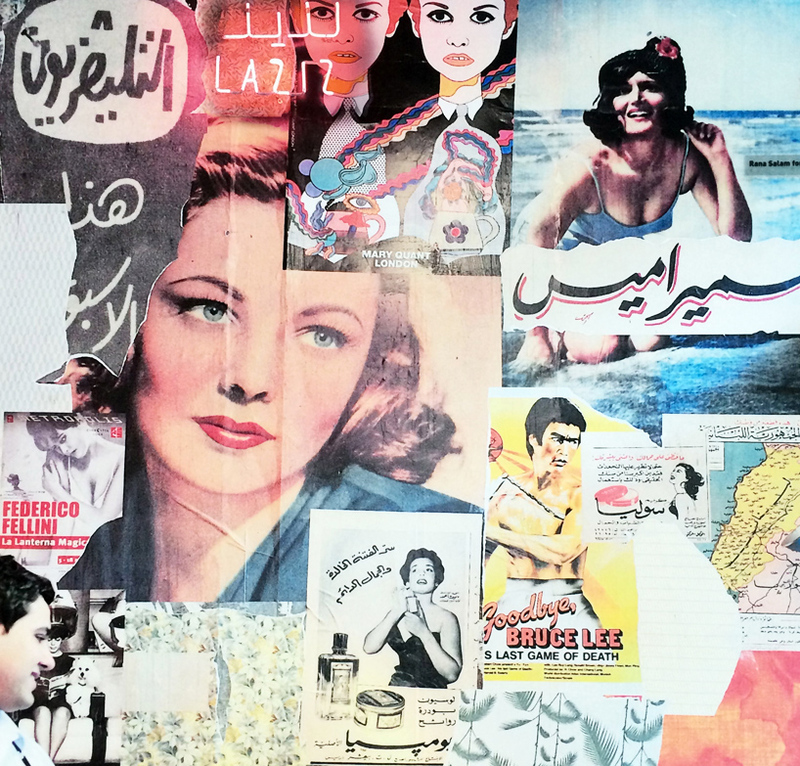 within the d3 district, beirut-born and based designer rana salam has curated an exhibition that explores the impact of urban dynamics and creative culture in the lebanese capital. 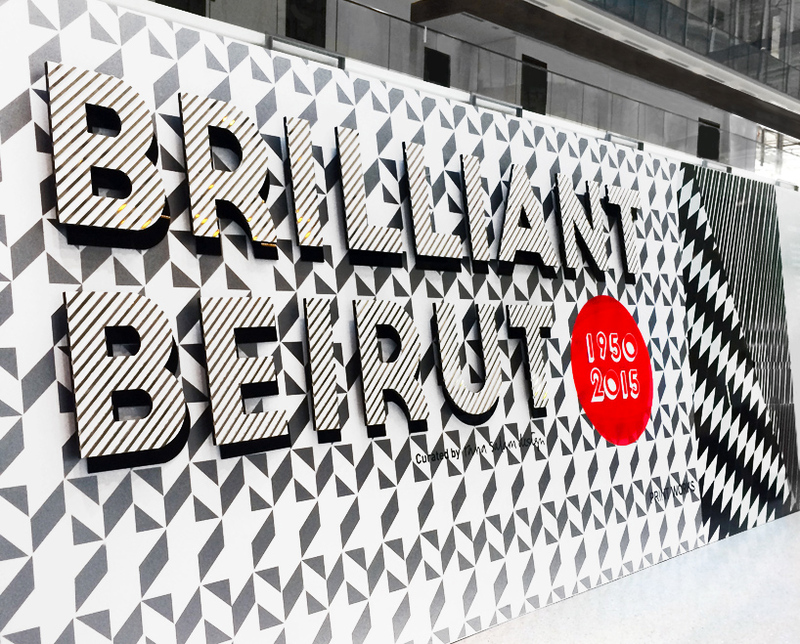 ‘iconic city: brilliant beirut’ is presented as an interactive and physical timeline of the progression of architecture, education, graphic design, fashion, furniture and cultural trends over the past decades. 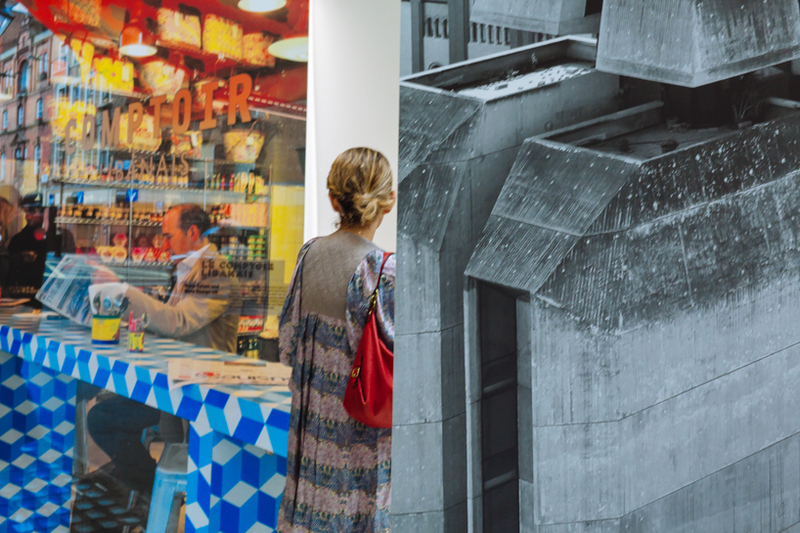 long panels towering overhead visitors display both written and visual information, cataloging the years between 1950 and 2015 through a curated selection of photographs, drawings, models and installations. 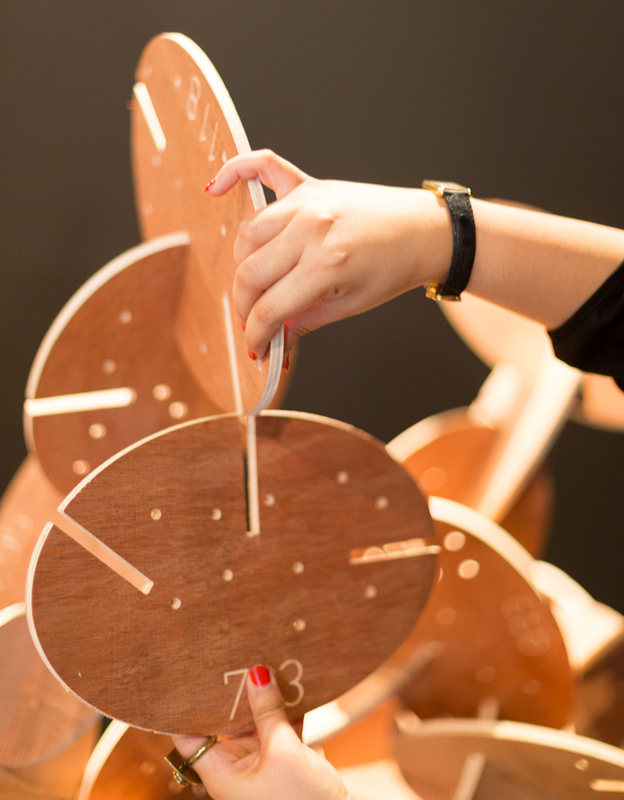 the show considers the shifts in design thinking and a transition to stability following civil war, while also examining how beirut’s complex social make-up, craft traditions and production resources helped nurture creativity and contribute to its status in the global design scene. 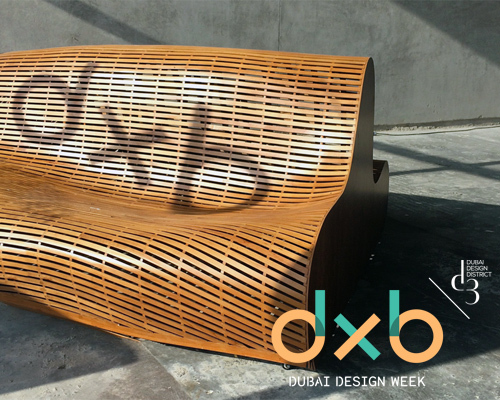 extending from d3 to strategic locations across dubai, a program of design installations by renowned international and local designers act as one of the core elements of design week. thirteen works ranging from participatory glass works to self-assembled furniture installations are sited in a diverse range of locations that carry a sense of belonging to their environment. 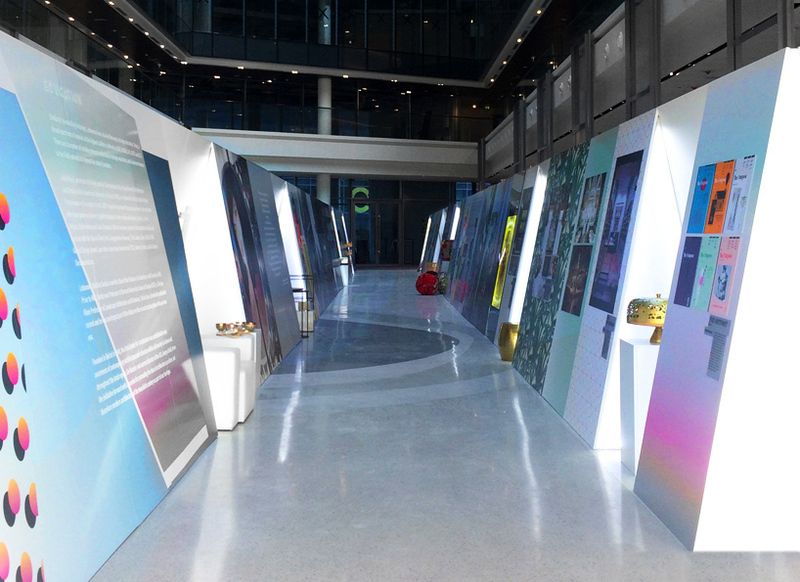 each of the installations explore innovation in material, form and function, illustrating the city’s creative diversity while promoting dubai as prolific urban environment. 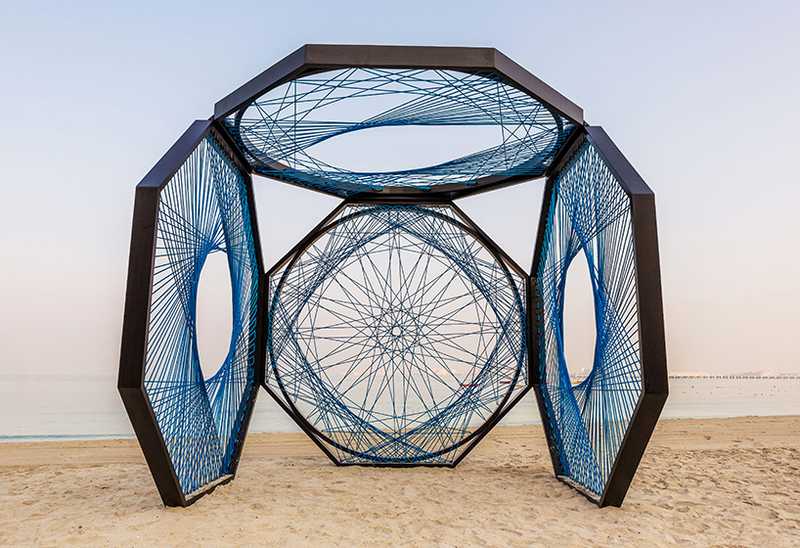 uniting tradition and contemporary aesthetic techniques, dubai-based designer aljoud lootah presents a sculptural project for both the creative community and passersby on the city’s beach by meraas. drawing insight from the local heritage, craftspeople and everyday practices, lootah has based the installation ‘yaroof’ off of a type of traditional fishing from the region. read more about the project on designboom here. 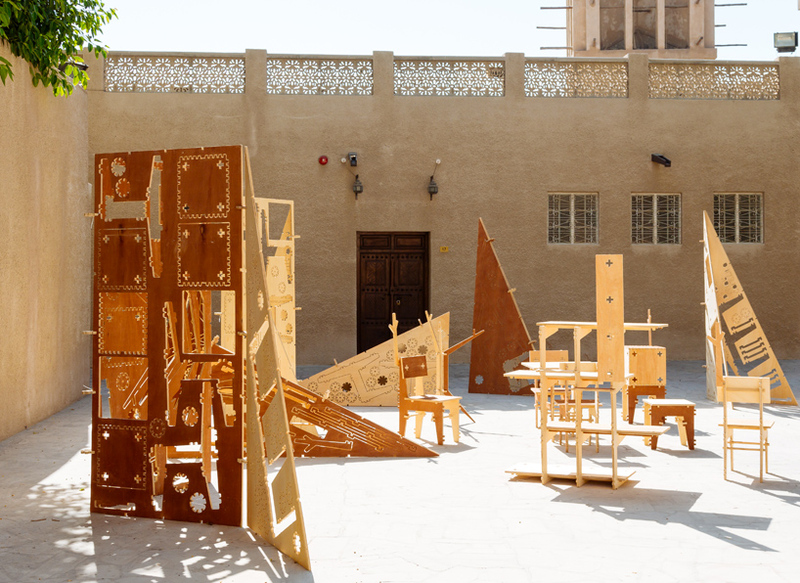 at dubai’s al fahidi district, one of the oldest heritage sites in the city, sao paulo-based designer henrique stabile exhibits ‘deconstruction zone’, a furniture installation that sees large wooden pieces assembled and dissembled into a series of functional units. 21 different shapes can be punched-out from geometric sheets and put together to create a huge variety of structural possibilities. 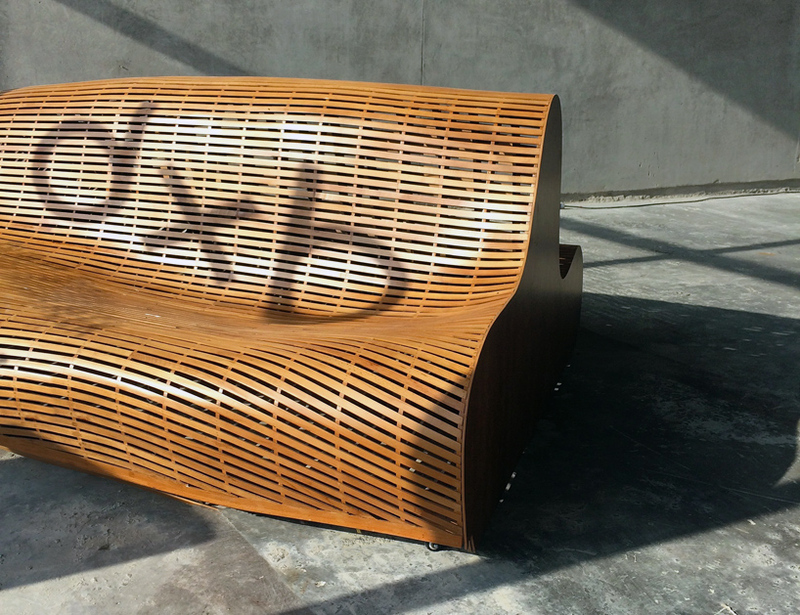 more than a thousand different final furniture solutions can be arranged from the individual cuts, inviting cultural exchange, urban experiences and personal interaction within the city. 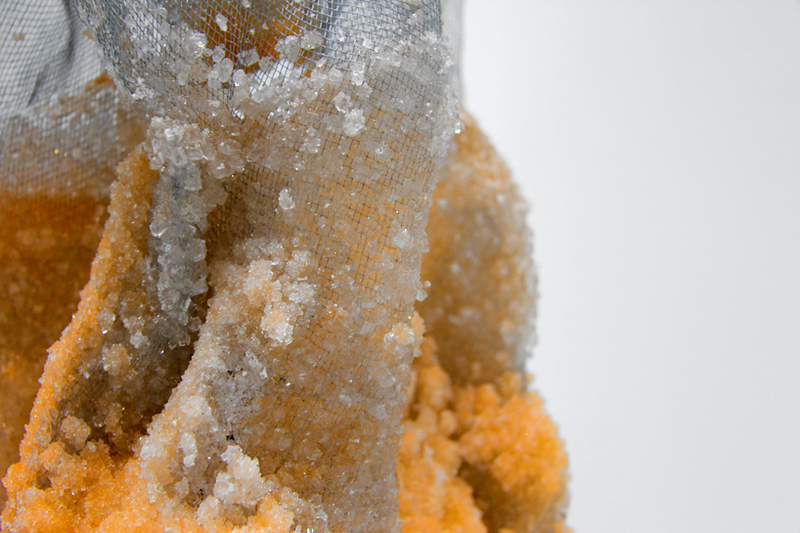 within d3, emirati artist raudha al ghurair has installed ‘lot 36587’, an installation of sugar-coated sculptures that examines the idea of objects in space and containment. 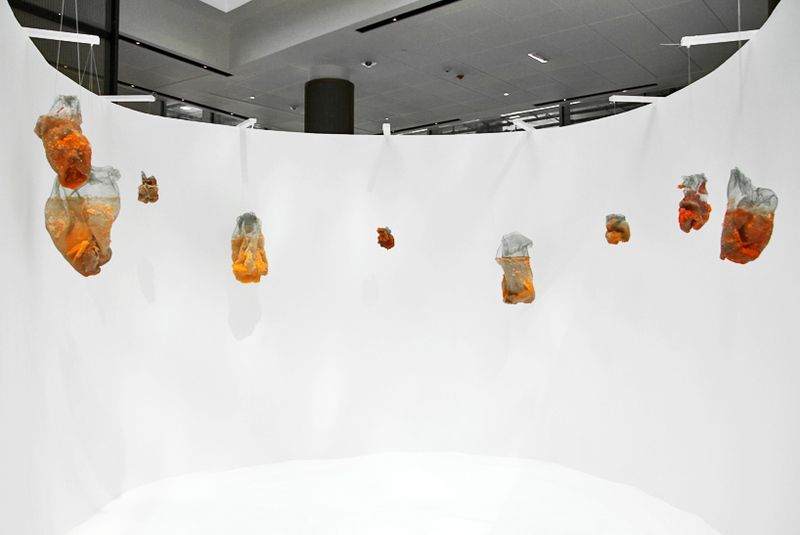 motivated by the formation of cells and embryos, the installation represents the obsessively repetitive motion of an organic container as it takes over the unoccupied spaces that surround it. 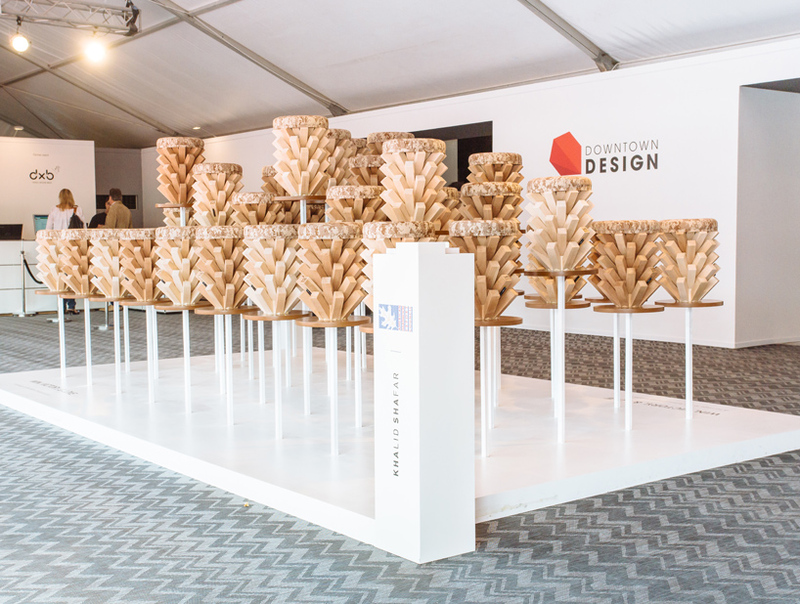 this year’s edition of downtown design brings 90 brands from more than 24 countries to dubai. 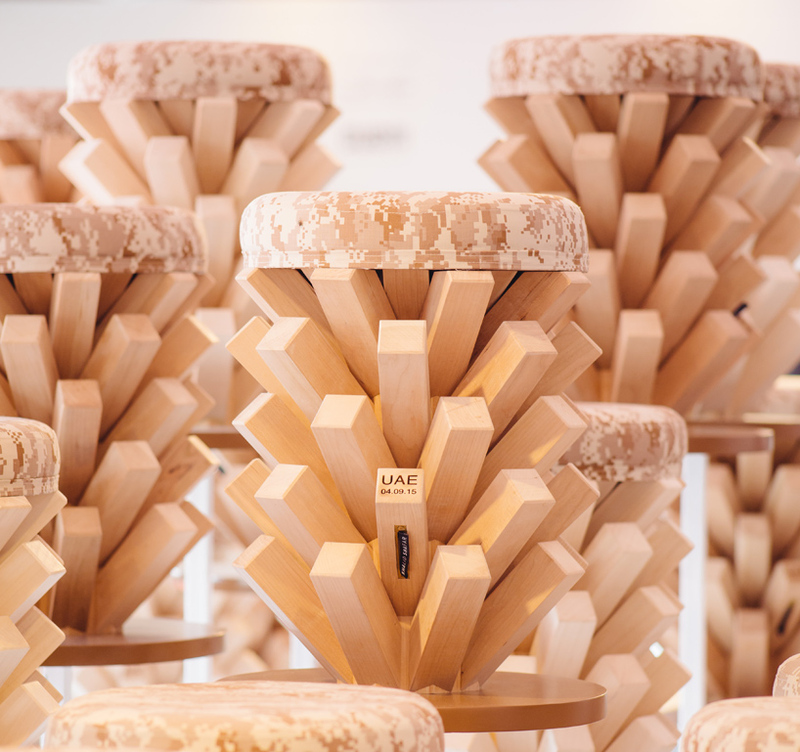 doubling in size from the 2014 show, the fair is the only platform in the middle east for trade professionals to discover an international range of original, high quality design. 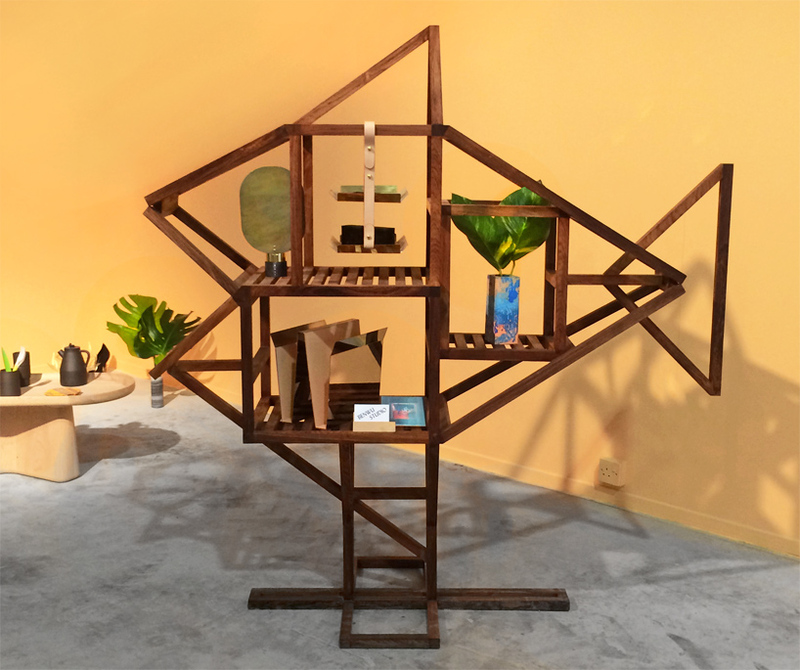 special to the 2015 edition, created as a dubai design week initiative, a series of six host destinations present three emerging brands for the first time in the dubai. 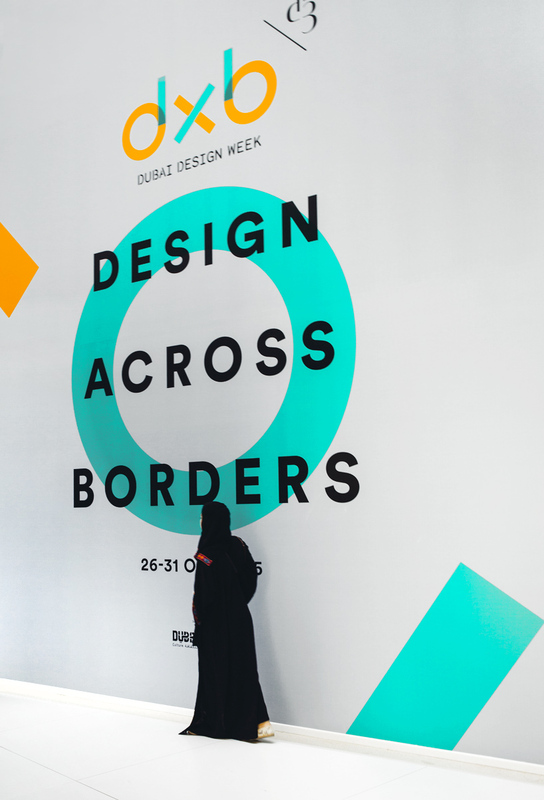 design weeks from mexico, melbourne, helsinki, san francisco, beijing and istanbul reveal the most exciting happenings in their own cities to the create community attending the middle eastern exhibition. 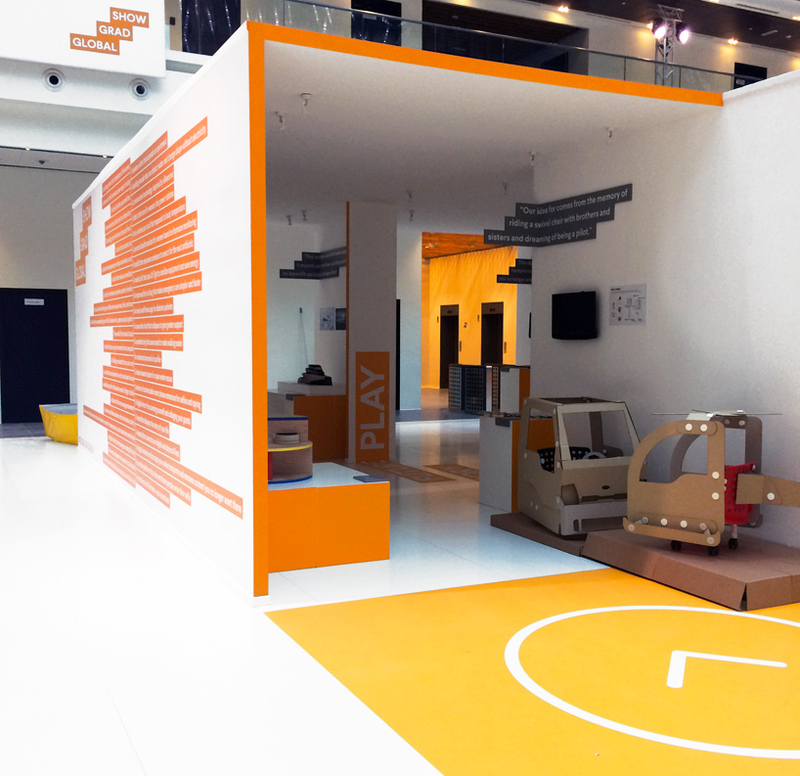 also at the dubai design district, an industry first: the highlights of graduate shows from an international roster of design-education programs converge under a single roof, giving design week visitors an unprecedented view at the ideas of students around the world. 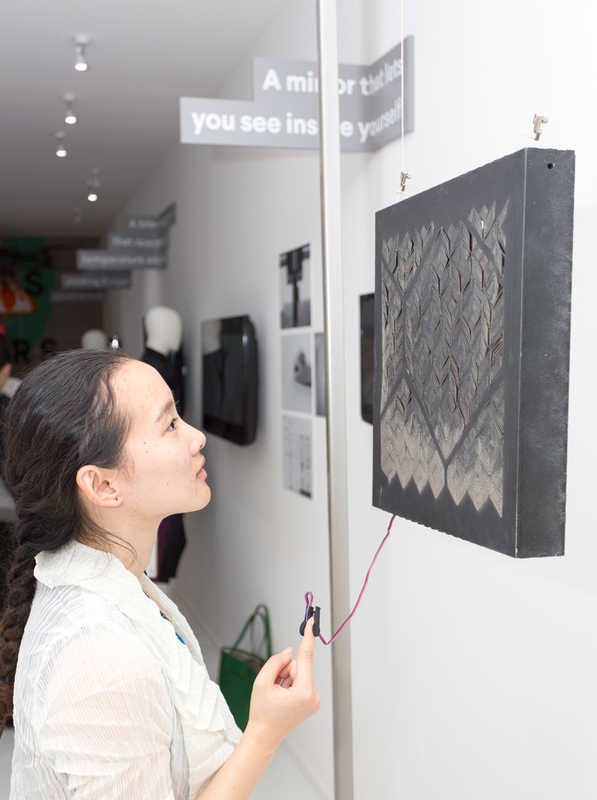 the ‘global grad show’ features 50 young designers, presenting their projects across six themes: construction, home, health, memory, play and work. participating universities royal college of art, MIT, pratt institute, hong kong polyu, national university of singapore, ecal, keio university graduate school of media design, eindhoven university of technology, kaist and tsinghua university have each been selected by curator brendan mcgetrick for their creative approach to problem-solving and their potential to make a lasting improvement to society.